The Monsanto Graduate Student Scholarship 2017 is part of our company’s broader focus on innovation and investment in agriculture. To meet the challenges the world faces in feeding nine billion people by 2050, investing in future leaders pursuing STEM careers in food and agriculture is key. The next generation of innovators will be the ones to ascend and meet the challenges of global food security. The application is open from September 1 - May 1, 2017. 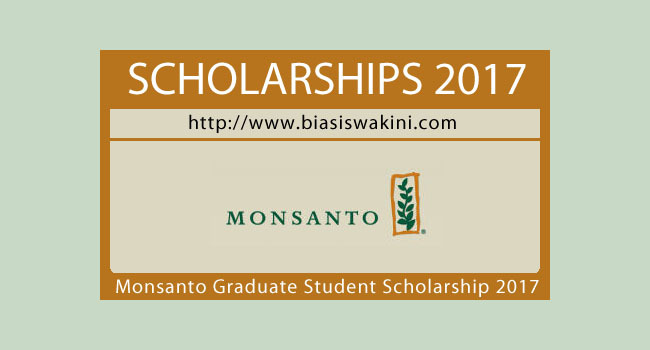 0 Komentar untuk "Biasiswa Monsanto-Graduate Student Scholarship 2017"